Although chimney tools have changed over the years, chimney sweeping is still done the traditional way with brushes and rods. 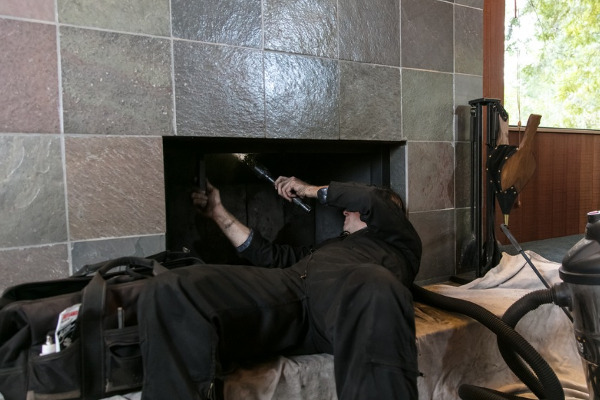 With guidelines from the Chimney Safety Institute of America and the National Fire Protection Association, the flue is visually inspected to determine if a sweeping is needed and type of brush required. The inside area is then prepped with a drop cloth, vacuum and additional dust control, as needed. The brush is attached to a semi-flexible rod, inserted past the damper area, with additional rods added until the peak is reached. There are various stages of creosote so a visual inspection prior to running brushes is imperative to determine if a basic sweep is needed or if more aggressive tactics are necessary. Aluminum – An aluminum liner can be used to vent category 1 gas appliances with A.F.U.E. of 83% or lower. 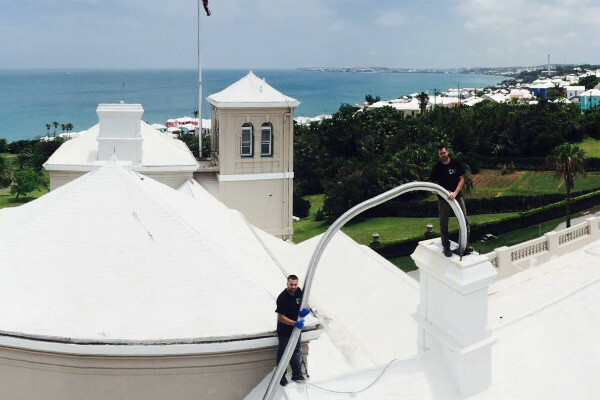 Aluminum liners are commonly used to downsize and vent orphaned water heaters when the main heating system is vented elsewhere, improving the performance of the appliance. Stainless Steel 316 alloy (most common)– Stainless steel liners are designed to reline existing chimneys or be used in new construction. It’s corrugated construction allows for expansion and contraction during the heat up and cool down periods. This liner would be used for standard heating flues and fireplace flue installations. Stainless Steel /AL29-4C – AL294-C alloy can only be used with natural gas or propane category II, III or IV appliances. Frequently used to chimney vent modern high efficiency boilers. Polypropylene/PVC – Plastic venting may be an option to vent approved condensing boilers. 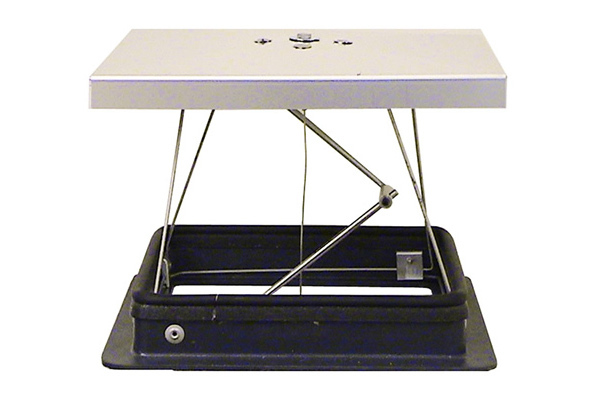 Manufacturer’s specifications would determine if plastic venting is right for you. At some point during your home-ownership, your chimney will likely need some sort of repair. 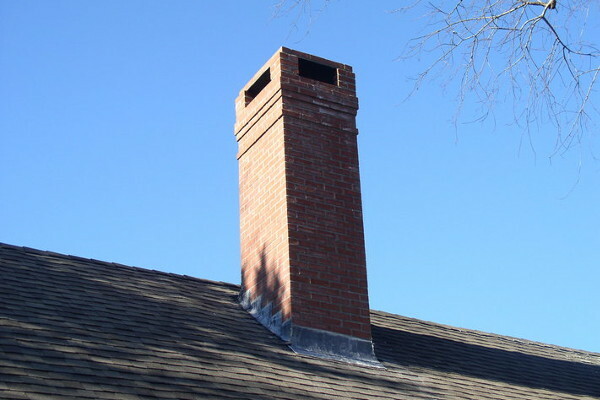 Chimney repair can range from very minor spot pointing, to full rebuilds, but what most people don’t know is, repairs can also be a combination of the two! If you notice minor cracks or loose bricks in your chimney, this is the time to make needed repairs rather than waiting for more serious damage to occur. We can repair damage before it gets worse and offer suggestions to prevent further deterioration of your chimney. After your chimney has been repaired, consider waterproofing to help prevent the problem from recurring. When a chimney is starting to deteriorate, but the bricks still appear in to be in good shape, chimney pointing may be your solution. Pointing is when the mortar joints between the brick are partially ground out and filled back in with new mortar. The mortar in between the brick can become soft and crumbly even though the brick are still in tact, removing the old mortar and replacing, can add new life to the chimney, stop water leaks and save thousands in rebuilding costs. After your chimney has been re-pointed, consider waterproofing to protect your investment. When the mortar and brick have crumbled, a chimney rebuild is needed. Our chimney rebuilds include tear down of the existing structure and debris disposal of the old decayed brick. The chimney will then be built back up using new brick and mortar and finished with crown/wash. Brick color, mortar color and decorative corbel style options can all be discussed to give your chimney a fresh new designer look. 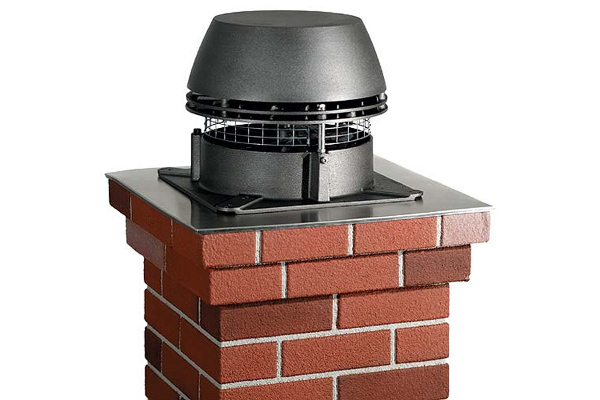 A Chimney Cap sits on top of the chimney and has several functions. The first is to keep debris, leaves, branches and most animals from entering the chimney potentially causing the flue to become blocked. A blocked chimney will keep by-products of combustion from properly exiting the flue and, should they enter the home, can be harmful. 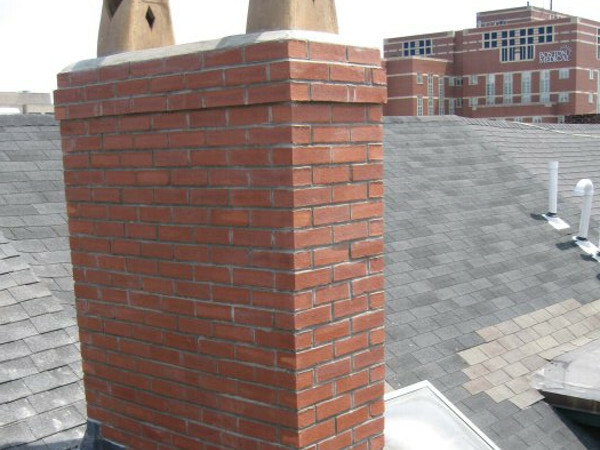 Chimney caps can also significantly reduce the amount of rain that enters the chimney through the peak, and therefore, slow down the rate of deterioration compared to a chimney unsheltered to water. A chimney cap can also act like a spark arrestor helping keep sparks from leaving your chimney and ending up on your roof. A well-made and properly sized chimney cap gives a great finish to your chimney and adds beauty to your home. 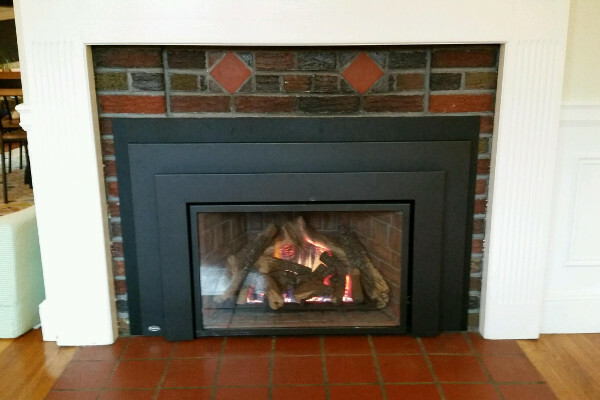 Gas fireplaces are making a major comeback. Let’s consider a fire that needs no tending, requires minimal cleanup, and provides heat for you home. That’s what you get with today’s gas fireplaces. Modern versions are very realistic. They have glowing red embers and tall orange-yellow flames that dance and flicker around ceramic-fiber logs molded from the real thing. Call for a consultation to see which option is right for you! Creosote is a natural by-product of burning wood. When this creosote is left untreated, it will undergo pyrolysis from continued exposure to heat and change form to bubbly deposits or a shiny tar-like appearance. When this happens, a conventional sweeping will not suffice and chemical treatment(s) are need to break down the creosote. Our specialized creosote remover is designed specifically to dissolve baked on, third stage, creosote glaze, this eliminates baked on resins without requiring heat. After the glazed surface is abraded with a flat wire brush the application of this liquid will reduce the creosote to easily brushable ash. 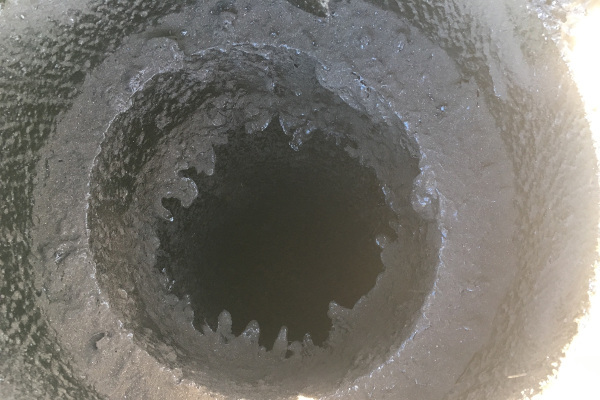 There are a number of variables that affect the amount of creosote deposited inside the chimney. Some of these variables include smoke density, average flue gas temperature, and residence time. 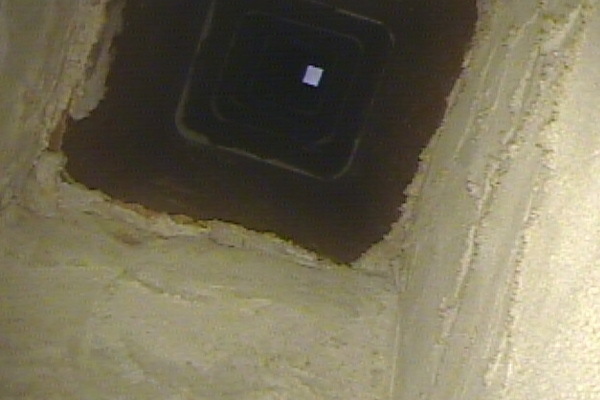 The Smoke Chamber is that area just above the throat area in a fireplace. 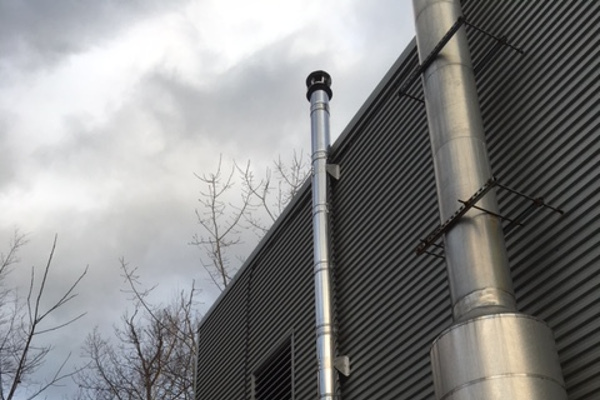 The purpose of the smoke chamber is to gently compress the byproducts of combustion into a smaller space (the chimney) without causing back draft and should be parged smooth to minimize turbulence and allow for circulation. When a chamber contains exposed brick and mortar, a parge coat application can be applied to achieve the desired finish. 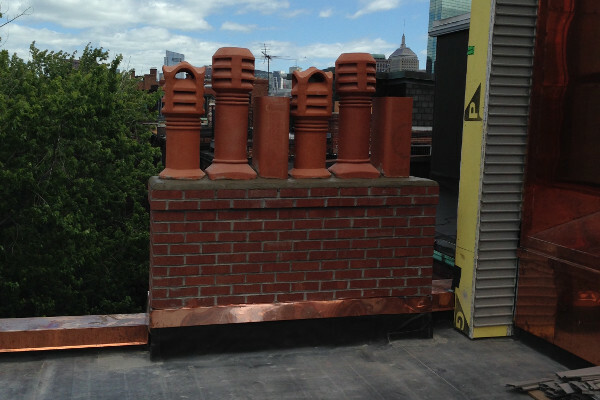 Don’t have a masonry chimney, no problem! 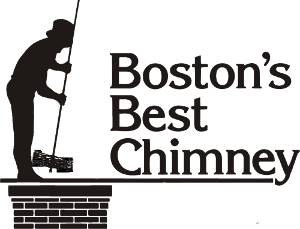 Boston’s Best Chimney also installs and replaces metal chimney stacks! A new stack can be installed to vent many applications including; heating equipment, fireplace, wood stove, or even a pizza oven, and is a great option when there is no chimney or if the chimney is already being used by other appliances. Smoke problems are a major source of complaints from homeowners. With a thorough inspection, we can offer solutions to assist with negative draft. Sometimes a fireplace smokes because the opening of the box is too large. When this is the case, a metal piece can be installed along the top side of the fireplace to reduce opening and encourage smoke to go up the chimney instead of into the room. When a chimney is experiencing a down draft due to wind, a Vacu-Stack is a great solution. The wrapped metal sections force wind around the cap, opposed to through, which can induce a positive draw and reverse fireplace smoke back up. Note: For real estate chimney inspections this is the level of inspection that MUST be performed in accordance with the National Fire Protection Association standards. Includes all accessible portions of the chimney exterior and interior. Including areas within accessible attics, crawl spaces, and basements. Accessible portions of the appliance and chimney connection. 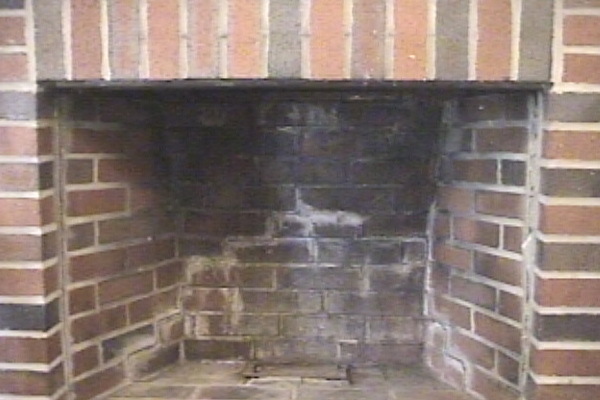 Shall include chimney inspection by video scanning or other means of inspection. 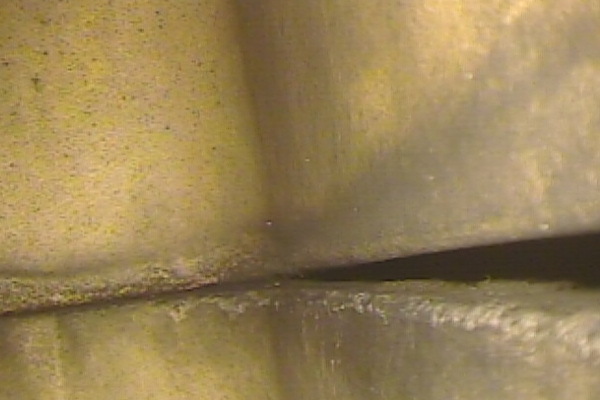 Firebox repair can range from a simple lintel seal to a masonry revamp. 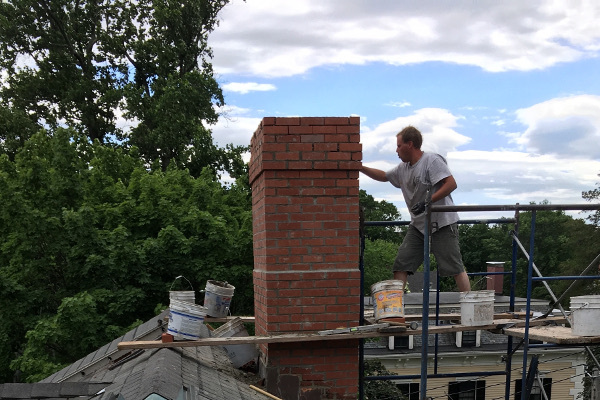 Boston’s Best Chimney is happy to assist with cracks and minor brick spalling repair, but if it’s an entire firebox that’s needed, we would refer out. To determine what kind of repair is needed and to give an accurate estimate, we will need to send a technician out to evaluate the different options. Our estimates are free of charge. 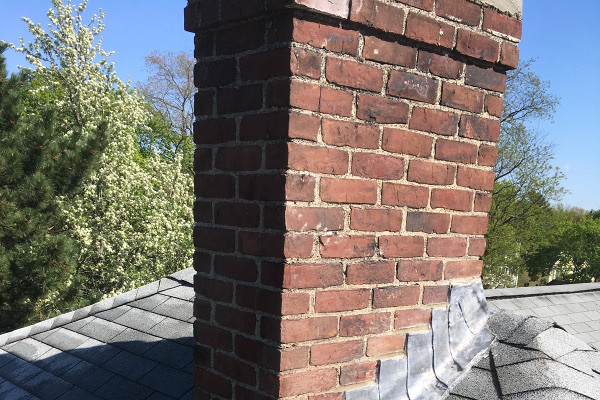 The chimney flashing is the transition piece, likely made of lead, rubber or copper, that meets the roof with the brick structure, When the chimney is leaking, the flashing is one of the first areas assessed to check for breaks and/or voids. If not properly attached, it allows the elements, especially rainwater, to enter the home and create damage. Sometimes, flashing repair is a simple task; other times, more extensive repair work is required. An animal caught in a chimney can be a terrifying situation – especially for the animal! 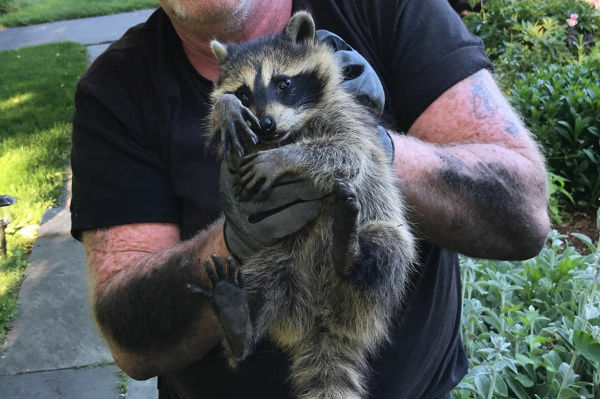 We are frequently called to remove birds, squirrels, and raccoons from chimneys. Animals left in the chimney to die poses a serious health hazard to the occupants. Call before it’s too late, have the animal humanely removed and install a chimney cap on top to prevent future infiltration. Very often homeowners will place clay chimney pots atop the chimney of their home to give their home that simple touch of elegance and distinction. It is important to note that the chimney pot should be properly sized to function with the standard use of the chimney. An added benefit of a chimney pot is the additional height it offers a chimney, thus helping in situations where there is a poor draw. Chimney bricks are like sponges! When water strikes the surface of the brick, it slowly penetrates to the interior, causes the brick to weaken, and eventually, crumble. 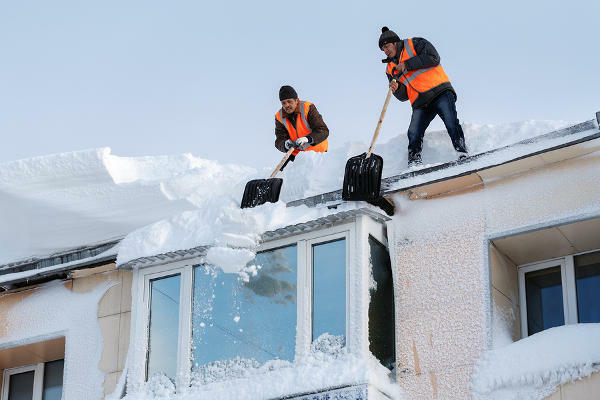 To delay further damage, you can have your chimney waterproofed. 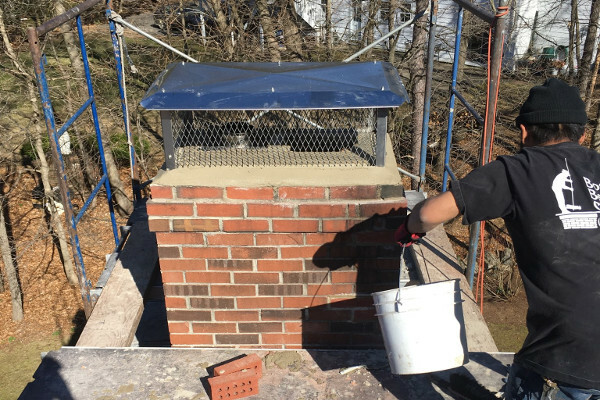 Boston’s Best Chimney offers professional grade waterproofing product that’s 100% vapor permeable, which allows the water vapors to escape instead of being trapped, which if left untreated, causes expedited spalling, scaling, deterioration, and freeze-thaw damage. 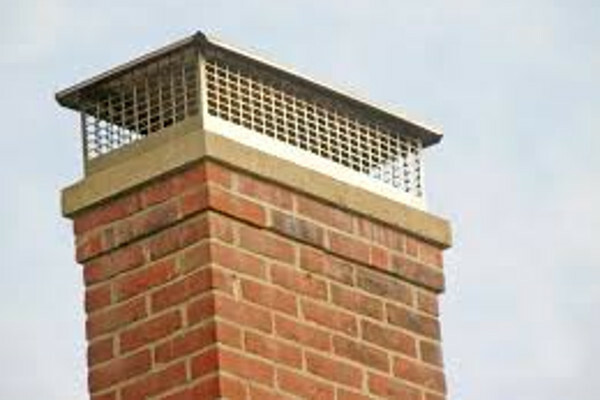 One of the best protections you can offer a newly repaired or rebuilt chimney is waterproofing. Be sure that waterproofing is part of any chimney repair! The top part of a wooden chimney chase has a metal protective covering on top. A lot of the times, we find this piece to be made of galvanized steel, and when it gets old, it rusts. 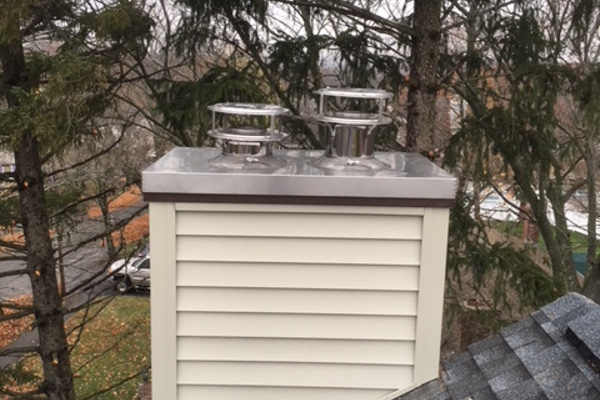 We can replace the chase cover with a new stainless steel covering that will continue to protect the top of the chimney, and will last a lifetime.